Renko Bars are not the most popular trading strategy but they are quite effective for filtering out the choppy periods and when used judiciously can be quite profitable. As an example, I have two charts of EURUSD from this morning, one just prior to a sudden drop and one taken a few minutes after the drop. You can see how the chart worked well for me using the Awesome Oscillator for entry and the TSIOsc for exit. I also watch the TSIOSC for warning of a pending shift in trend. 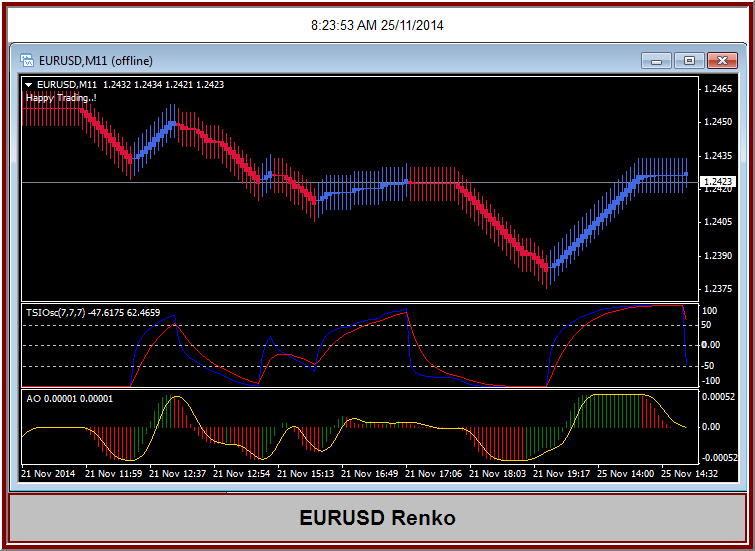 Traders use different bar sizes for their Renko charts and that is a matter of preference. Some people like a 2 pip bar and others use up to 50 pips, depending on how often they want to trade and be at the screen watching charts. Some trading platforms have a Renko chart built in as an indicator and many do not, meaning that a custom indicator has to be used. Sometimes in the case of a custom indicator there is quite a demand for machine resources which limits the number of charts that can be used . 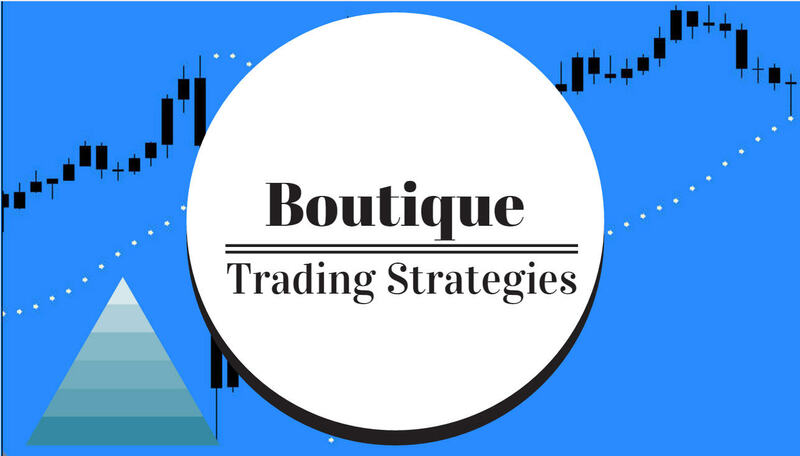 There are custom indicators for both Metatrader4 and Metatrader5. Renko trading is a great strategy in that a person can see clearly the entries and place stop losses that work well based on the size of the Renko bars on that particular chart. I have not found any trailing stop expert advisers that will work on a Renko chart, they have to be attached to the regular chart for that currency pair. Nor have I found a trade manager that will work on a Renko chart, again the trade manager has to be attached to a regular currency pair. Those are a couple things that make trading with Renko bars a little awkward. However, even with a couple negatives the Renko Trading Strategy can be enjoyable and profitable. I will add one more chart, a 40 pip move that just occurred, actually the move was for a bit more than 40 pips.